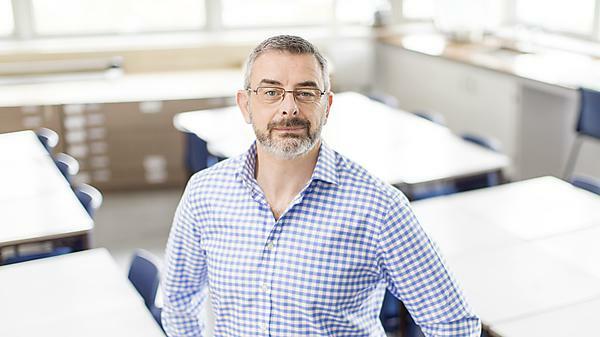 Dr Russell Shobrook completed a PhD in Education in 2017 and currently works as Programme Leader and Lecturer for the PGCE Diploma in Education and Training. "My project was about how the Royal Navy trains and develops their personnel and reproduces the next generation. "The data collection for this provided an extremely interesting insight to the thoughts and perceptions of Royal Navy personnel and their reflections on their career as well as their hopes and aspirations for the future. I particularly enjoyed meeting respondents and sharing their stories was a privilege and an extremely humbling experience. I enjoyed using the already established theoretical perspectives and developing and re-purposing them to provide new insight." "I gained a much better understanding of the way the Royal Navy develops its people as well as the wider national implications for other large organisations. From a more personal perspective, gaining my PhD is the culmination of nearly 16 years of part-time study all undertaken at the University. I am a mature student and came from a non-traditional HE family background. I left school at 16 years old with no formal qualifications. I joined the armed services and they enthusiastically supported me throughout my career by providing many development opportunities and recognising latent skills that had eluded my schoolteachers in the late 1970s." "Developing people is typical of what the armed services did and continue to do for its personnel. I started my HE journey at Plymouth in 2002 by undertaking a part-time teaching qualification. This was followed by completing my BA (Hons) Education Studies and my master’s degree in education, again all undertaken through part-time study. I started my part-time PhD in 2011 and completed it in 2017. The support and teaching at Plymouth has been superb and, in my opinion, I doubt I would have received the same over such a sustained period of study at a comparable institution. I am a mature learner with normal parental and family obligations and somehow I managed to make it work." "I would not say that undertaking doctoral study was easy or without challenges, but it is eminently achievable if you believe in yourself, trust your supervisors and choose an area of study that you are truly passionate about. It seems that the academic staff at Plymouth have the balance between stretch and challenge just about right. "Since completing my PhD, I have delivered lectures and staff development sessions at many of our partner institutions in the UK. I plan to deliver development sessions at some of our international partner institutions as well as present my finding to the Royal Navy board. I am about to supervise a full-time PhD student that is examining educational leadership and I am very excited about starting this journey with them. "Above all, I am trying not to lose any of the momentum I built up over the years of study!" "As an existing member of the academic teaching staff, the transition has been a straightforward one. If you wish to enter HE teaching and research at a University or College, the PhD will undoubtedly help. However, you also need to be passionate and outgoing in order for you to develop you own academic profile. This includes publishing work, presenting at conferences, contributing to journals and book chapters etc. "The levels of academic support and development opportunities at the University are very good. Here you have access to some of best academics in their particular fields. Their networks of international colleagues means that you can have a truly global insight to your area of study. As an employer, the University has provided me with financial and pastoral support that enabled me to complete my PhD ahead of schedule." "I very much recommend undertaking research at Plymouth as the levels of support and supervision are excellent. I have spoken with colleagues from around the UK that are currently undertaking their PhDs and it would seem their experiences are somewhat more challenging than mine were." "Underpinning all of our research is a commitment to seek to transform education experiences and outcomes for both learners and teachers." Do you aspire to a research career in academia, government or business? This full time or part time doctoral programme is suitable for people who have a particular research question or topic in mind.